Grandpa The Gardener Helped Nurture His Seedling Grandson A man remembers the grandfather who taught him valuable lessons and helped him grow. "He is a part of everything that I am," says Santiago Arredondo. 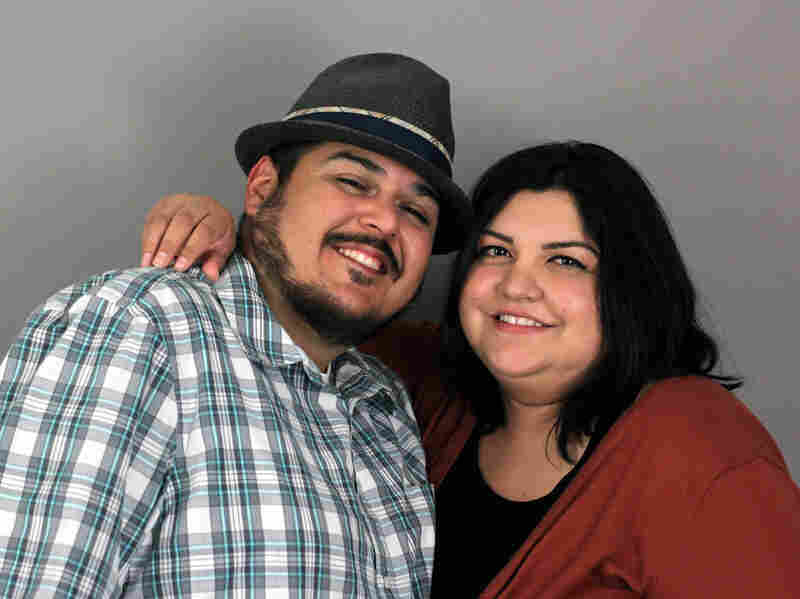 Santiago Arredondo with his wife, Aimee, at StoryCorps. Jose Guadalupe Enrique Sanchez was a gardener for more than 50 years. 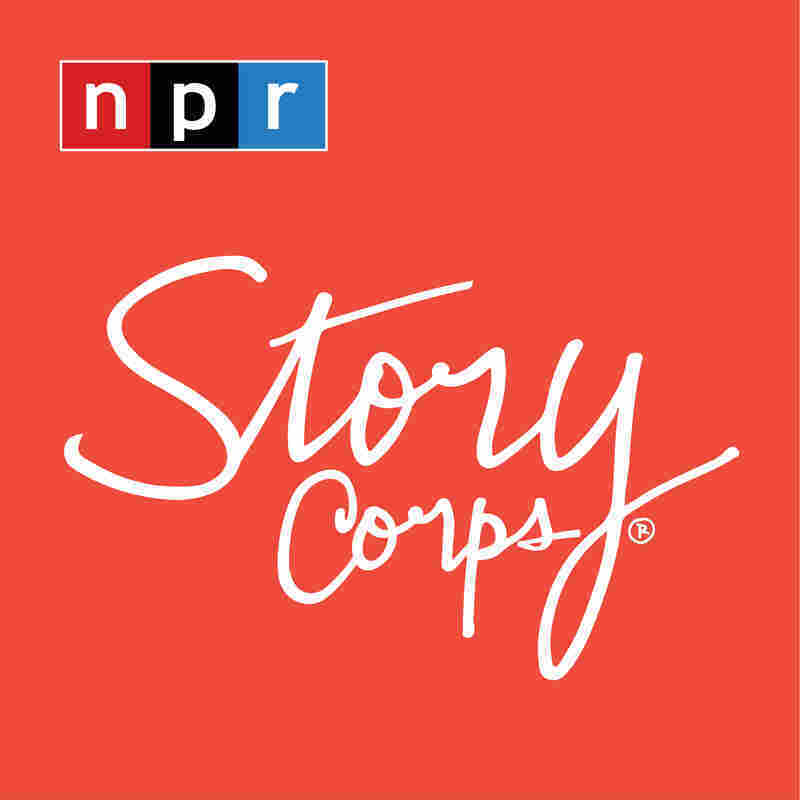 "He had, very dark skin, you could tell he spent his whole life out in the sun," Jose's grandson, Santiago Arredondo said to his wife, Aimee, during a recent visit to StoryCorps. "His hands were those of someone who worked since the age of 6, but he was the cleanest gardener you would ever see, always wore button down shirts from JCPenney's," 32-year-old Arredondo said. "And, as a kid, on top of me being overweight, I also stuttered," he continued. "And it was a lot of bullying. So my grandfather stepped in. Every Saturday morning he picked me up at 7 a.m. and we would go to his gardening route. We would spend our days mowing, pulling weeds and blowing leaves. He started teaching me specialized things, how to prune roses and plant them and create new roses. That helped me develop more self-confidence because I knew how to do something that not everyone does. And I think that helped guide me to where I am now." Today, Santiago Arredondo is a landscape supervisor for the University of Southern California. He supervises 44 men. "I never met your grandpa, but sometimes you tell me, 'Do it right or don't do it at all.' Where does that come from?" Aimee asked her husband. 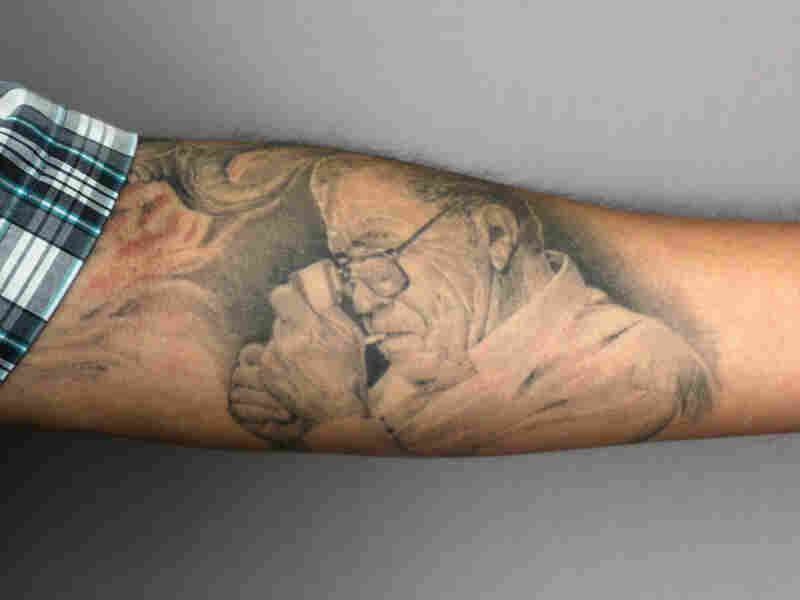 Santiago has a tattoo on his left arm in honor of his grandfather. "He had ordered a big delivery of soil — the pile was bigger than me," Santiago explained. "And I was jabbing my shovel into the middle of the pile and, and loading it onto the wheelbarrow and he said, 'You need to do it from the bottom of the pile.' And me being a kid, I just did what I wanted to do anyways. He said, 'Listen, either you do it right or don't do it.' Those, those words I say to myself every single day. There has been a number of times that I cried out to him, 'Grandpa, I need your help.' He is a part of everything that I am." At night, Santiago and Jose would watch cowboy movies for hours and hours. "And my grandpa was hard of hearing, so the TV was always like full blast. And now as, as an adult on Saturdays, they always show westerns. Whenever I can, I like to sit down and watch them as loud as I possibly can. And um, I feel like I'm sitting there watching it with him."